Reviving its rich twin heritage, Royal Enfield, the global leader in mid-size motorcycle segment (250-750cc), today showcased its ground-up modern twin motorcycles, the Interceptor INT 650 and the Continental GT 650, to its motorcycling community, Royal Enfield owners, and riding enthusiasts at the Royal Enfield Rider Mania 2017 at Vagator Goa. 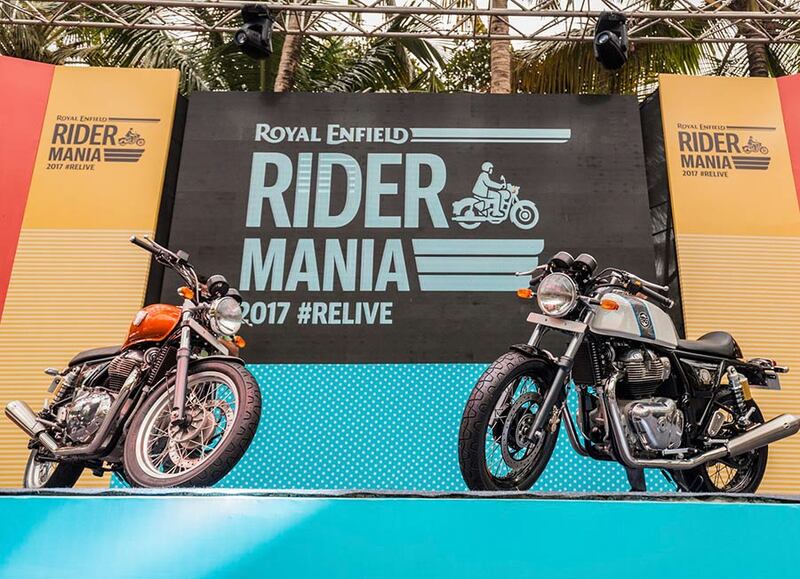 WIth over 6000 Royal Enfield fans in attendance, the unveil of the motorcycles, that were recently showcased at the EICMA Motor Show in Milan, was an exclusive for the community members who have defined and grown the brand’s culture and popularity over the years. The Interceptor INT 650 carries forward the Royal Enfield legacy into the 21st century. While in its essence it retains the design and old-school character, it has all the underpinnings of a modern machine. It combines agility, usable power, excellent ergonomics and style in an unintimidating manner. However, the Interceptor INT 650 is more than the sum of its parts; it is great fun to ride and brings a smile on your face every single time that you ride it. The GT has been an iconic motorcycle in Royal Enfield’s portfolio. Since its launch in 2013, the Continental GT has helped the brand strengthen its position in mature motorcycle markets across the world. In its new avatar, the Continental GT 650 is the absolute definitive cafe racer that will be loved by discerning riders across the world.